I wanted to enclose the wheelie bins (garbage cans), but when I measured, they're different sizes. One measures 240l the other is a 360l bin. What to do? Make the Wheelie Bin Shed fit the 360l bin. 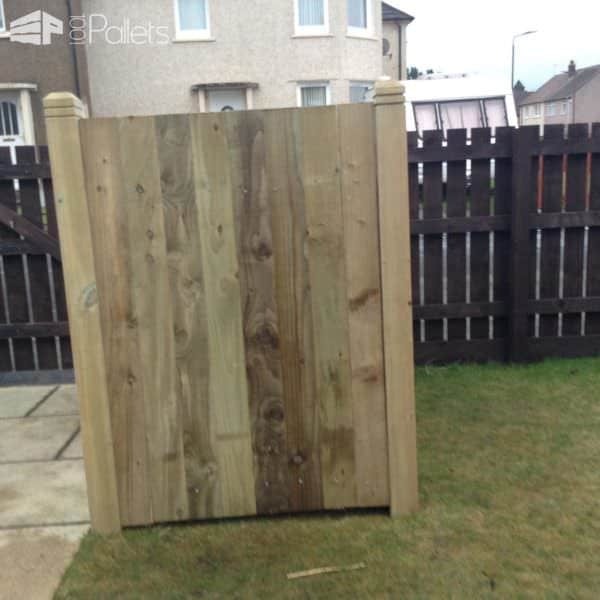 To keep costs down, I upcycled old 400mm x 400mm x 1.5m long decking posts I'd saved from another project. 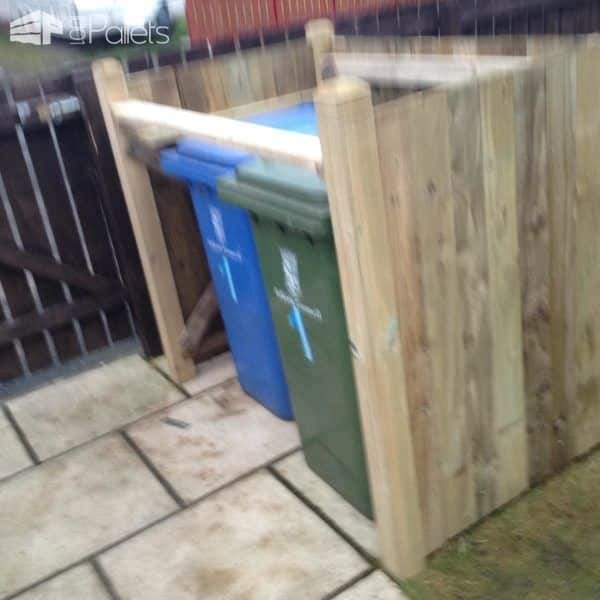 Enclose those unsightly garbage cans with a Pallet Wheelie Bin Shed! 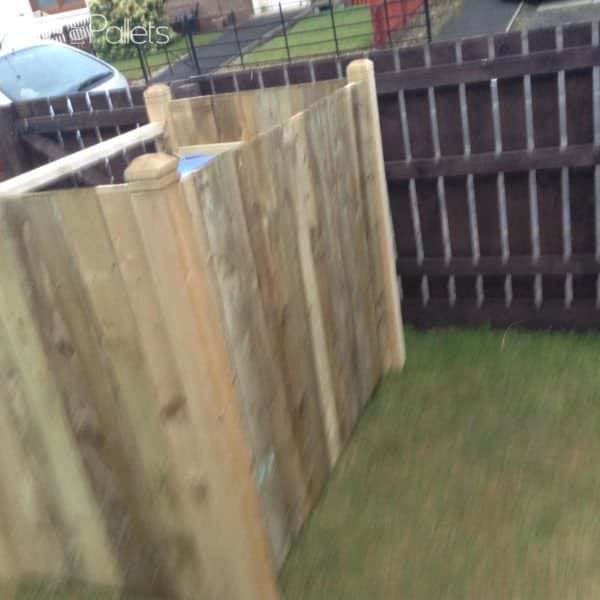 You don't need to use decking posts but I had them already. Depending on the height you need for your shed, pallet stringers would work. 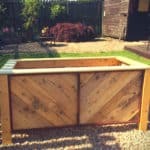 The dimensions I needed were 880mm wide for the large bin so I made the width 1m, the total length of the bins is 1.3m so I made the length 1.5m. Now 1.5 m is longer than the standard pallet but by chance, I obtained a 1.5m long pallet used for bricks from my local builder. 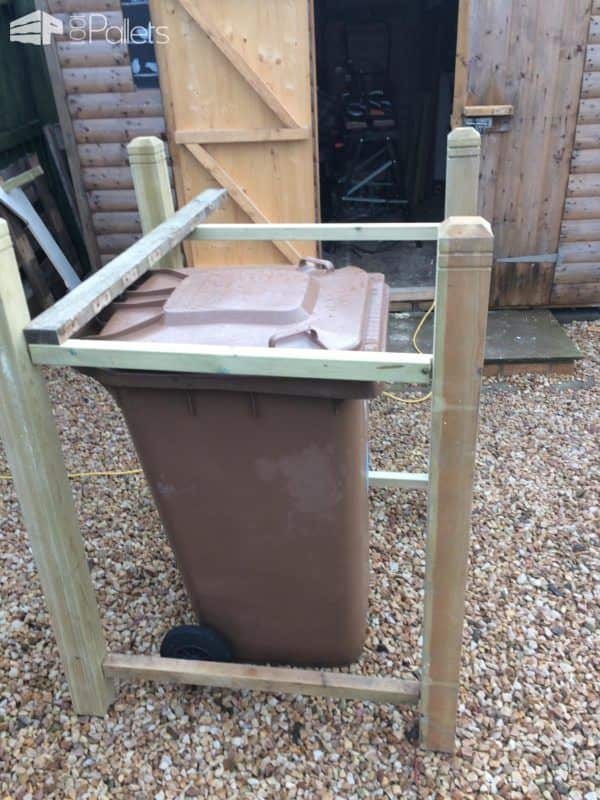 Adapt your Wheelie Bin Shed to the supplies you have! 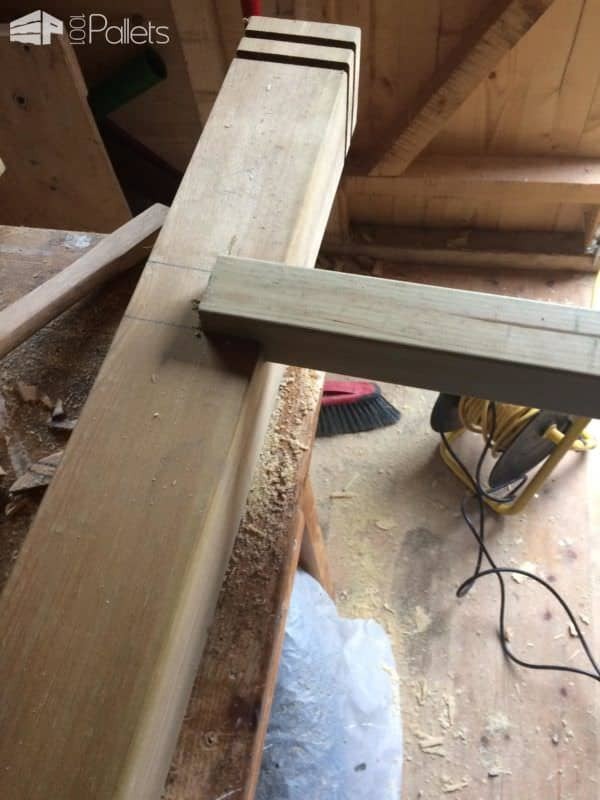 I decided to make the frame using open mortise and half lap joints, this is best described as cutting slots in the posts and cutting the horizontals to fit the slot. 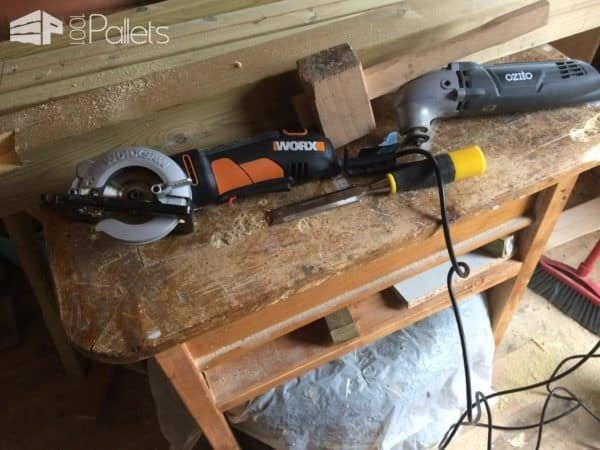 Once fitted the joint was strengthened with a 50mm decking screw. I clad the structure on three sides using pallet deck boards. I'll finish the doors and hinged lid on top soon! You need common tools to complete this project. 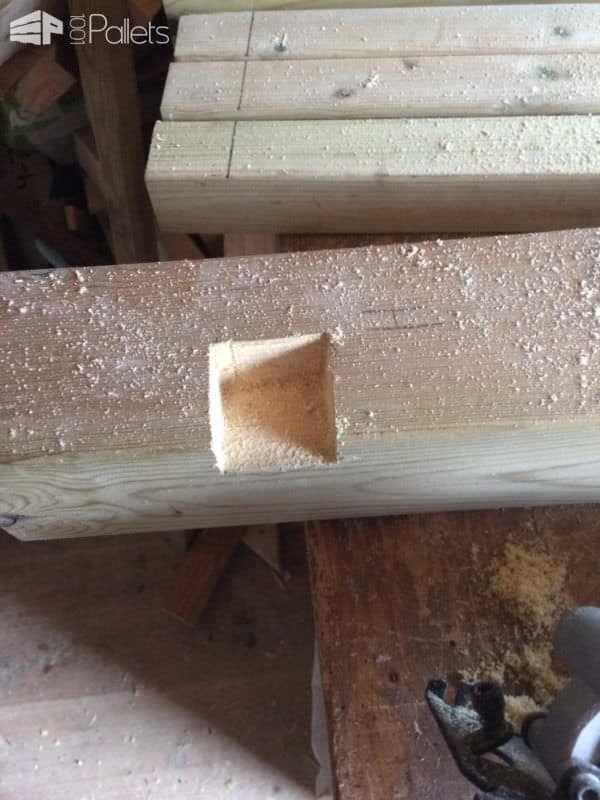 Trimming the holes for the frame. Measuring for the horizontal support pieces. I enclosed the shed on three sides using pallet wood. The bins fit well; I'll finish the doors and hinged top soon.